I owe my passion for leadership development to my dad, a few terrific college professors, and a wonderful group of bosses and mentors. I asked each of these people for all the wisdom they could share. In return, they opened up their hearts and their minds giving me access to their knowledge and experiences. They talked about what went right with their successes and what they learned from their failures. Fueling my passion was a realization that many people—perhaps even most nonprofit board and key staff members—don’t have mentors or coaches as I did who offer support and encouragement. They may not have access to professional development or other training, or the culture of their organizations may not consider it important. As president of the Foellinger Foundation, my role is to work with the board as they make decisions to strengthen organizations that serve children and families in Allen County, Indiana. We do this through grants and technical assistance, which we believe ultimately increase the self-reliance of our residents. The foundation has a long history of developing and supporting leadership in its grantees as a way of staying true to the intentions of its donors. Donor intent forms the basis of all decisions by the foundation’s board. Everything else follows from that, specifically our work in leadership development. The more we at the Foellinger Foundation learn about the needs of the nonprofits we serve, the more we’ve thrown our weight behind developing and investing in phenomenal leaders. We believe that nonprofit leaders should have the same opportunity to think, reflect, consider, discard, and refine ideas as for-profit leaders, and to develop critical leadership skills. According to Talent Philanthropy, foundations devoted less than 1% of grant dollars toward supporting the recruitment, retention, compensation, development, or retirement of nonprofit talent between 1992 and 2011. In 2016 we committed 7.5% of our grant dollars to leadership initiatives. Operating support—We believe operating support allows nonprofit leaders “breathing room” to consider the best approaches for their organizations. It alleviates the constant stress of fundraising and enables leaders to take time for reflection and strategic thinking. We have increased our general operating funding from 27% of total grant dollars awarded in 2005 to 53% in 2015. Capacity building grants—Applicants choose how they’d like to strengthen the organization from a variety of strategies: engaging board and staff members in high-level discussions, exchanging with peer organizations, coaching, and networking, among others. Nonprofit leaders then meet with the foundation so that the foundation can develop a capacity grant application tailored specifically for that organization and its purpose. Executive Leader Program—This 18-month program helps nonprofit c-suite leaders address leadership challenges. Its curriculum focuses on an adaptive leadership competency model with an emphasis on innovation, decision-making, understanding culture, influence and negotiation, difficult conversations, and emotional intelligence. Emerging Leader Program—This 12-month program supports future c-suite leaders by building important leadership competencies. Through a range of interactive approaches, participants build tools needed to thrive in their current roles and prepare for future responsibilities. Barbara Burt Leadership Fund—Administered by the local community foundation, the fund exists to encourage exceptional nonprofit board governance, support adaptive thinking, and promote exchanges about leadership styles and best practices within nonprofits. Through the fund, we help board members attend conferences, workshops, and webinars and share learnings with fellow board members in and beyond their organization. Watch these videos to learn more about the leadership programs. Strategic grantmaking—Over the past seven years, the foundation has invited select mission-focused, well-governed, and results-oriented nonprofits to apply for a unique funding portfolio: general operating support, capacity building, and limited capital improvement funding. Through this initiative, the foundation has invested nearly $27 million in 20 key local nonprofit organizations serving children, youth and families. The foundation’s board believes this approach aligns with the donors who were values-driven, rather than issues-driven. Be clear about pilot projects and programs. Explicitly state that your efforts are a pilot project or program. That way, it sets the right expectation from the beginning: We’re here to learn and adapt. A key to a successful pilot is a strong evaluation component, even if it’s not conducted by an external evaluator. (Note: It may be worth allocating the funds for an external evaluator.) By setting proper expectations and incorporating a rigorous evaluation process, we are able to make changes along the way rather than waiting until a program has been underway several years. Collaborate. Search locally or regionally, or through networks like Exponent Philanthropy, to find funders who are open to collaboration. If you do find others with similar interests or focus areas, perhaps you can divvy up research and share your findings, or even pool your investments. Get clear about donor intent! For many family or private foundations, it’s important to explore donor intent. I haven’t worked with a living donor, but I can’t imagine designing programs or initiatives that are the antithesis of the donor’s values or leadership style. If you’re an organization like ours where the donor has been deceased for 30 years, it is critical to look at the founding documents and talk with people who knew the donor(s). The challenges for nonprofits are significant. They require strong board and staff leaders who understand they will be called upon to be innovators, entrepreneurs, coaches, guides, and sages. These leaders are ready to do the work and foundations are positioned to provide them the resources to overcome the challenges we face in our communities. 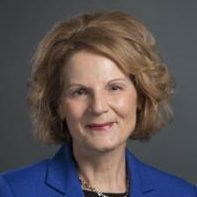 Cheryl Taylor has been president and CEO of the Foellinger Foundation since 2001 and a member of its board of directors since 2002. She serves on its executive, investment, and finance committees, and provides staff support for its board development committee. She also serves on the board of directors of Community Partnerships, Inc.